Do you need high speed internet for a convention or temporary event in Goodsprings? LV.Net has over 16 years of experience providing quality internet service to Southern Nevada. LV.Net will be in Goodsprings to provide the best in high speed wireless microwave internet. 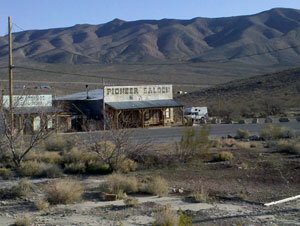 We have the resources and capabilities to deliver internet service on any scale in Goodsprings. LV.Net’s microwave internet operates through a series of radio relays located throughout Nevada and in some parts of surrounding states. Wireless transmissions between relays travel at close to the speed of light. LV.Net’s microwave network provides internet speeds of up to 1 Gbps without difficulty. Distances between relays stretch for miles. Over distances signals are transmitted by microwave broadcast, there is no concern about maintenance of a fiber cable or its environment. Your high speed microwave internet connection will be up and running regardless of climate, the environment, or other conditions. LV.Net’s microwave network is designed with unmatched flexibility and redundancy for 99.999% uptime. Carrier-grade radios are used on major backbone points. Towers with multiple transit links use OSPF protocol and mesh topology for fail over. Reporting of port errors is used on equipment that allows for pro-active management and maintenance. Our network has a redundant power design, and equipment is kept in a cold spare state in the event that technical staff decide to use duplicate equipment in any particular case. LV.Net’s technical staff are available 24/7/365. They are experienced and well trained. LV.Net can install fully secure private business networks, and also offers colocation hosting, and cloud computing. We can establish a private network between computers in different geographical areas with a fully secure data connection. Private networks are capable of delivering bandwidth speeds of up to 1 Gbps and can allow for businesses to support all voice, data and video requirements. Colocation hosting allows one to move a server into a secure datacenter equipped with suitable internet and power connections. LV.Net’s colocation facility is located inside a former bank vault. It has a redundant power supply and backup generator. Our Network Operations Center has climate control, redundant backbone connections with unlimited available bandwidth, flame extinguishing system, bio-metric access control, video surveillance, and dual redundant facilities across datacenters. It is continually monitored by LV.Net staff to ensure stable operations. Cloud computing can allow a user to realize economies of scale by locating equipment at LV.Net facilities and accessing it from a different offsite location using the internet. Front end equipment located offsite can be minimized. Back end equipment and software that is located at LV.Net facilities can be used to a greater potential. Back end equipment and software can potentially be more efficiently maintained, and its performance monitored, by having it located on LV.Net’s premises. If you need high speed internet in Goodsprings for a convention or other temporary event, please contact LV.Net today at 702.900.0000. LV.Net is capable of delivering internet service on any scale imaginable. We will be in Goodsprings to deliver the best in top tier high speed wireless microwave internet, and look forward to speaking with you about your internet requirements in Goodsprings. Have a convention or in need of temporary High Speed Internet 1Mbps to 1000Mbps in Goodsprings call us now 702.900.0000 for a quote or email us.